And now for something completely different! 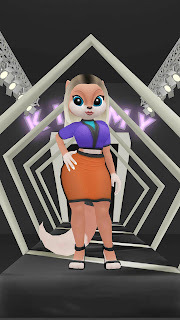 Play with Kimmy Superstar: Talking Fashion Cat, and see what it feels like to be a Hollywood diva! She is bold and sassy and does not hide from cameras. She likes to be in the spotlight and do photo-shootings all day long! I bet you did not see a virtual pet cat that goes on magazine covers! That’s right: she enjoys all the perks of being a famous fashion diva! Give Kimmy the chance and you will love her! Try it out and have loads of fun! We wish you the best of success with your app. This looks like something @robertk328 would enjoy. Thanks for sharing! Neko Atsume game guide: How to collect all the cats! Amazon Echo Look: Can it help the fashion hopeless?